If autonomous vehicles are the future of the trucking industry, what is the future of the truck driver? On the surface, it might appear to some casual observers that automation could soon spell the end of the truck driving profession, but that perception quickly falls apart when examining the current limitations of the technology and the stark realities of trucking’s labor needs. Just ask the tech developers who are hard at work trying to make self-driving trucks a reality. 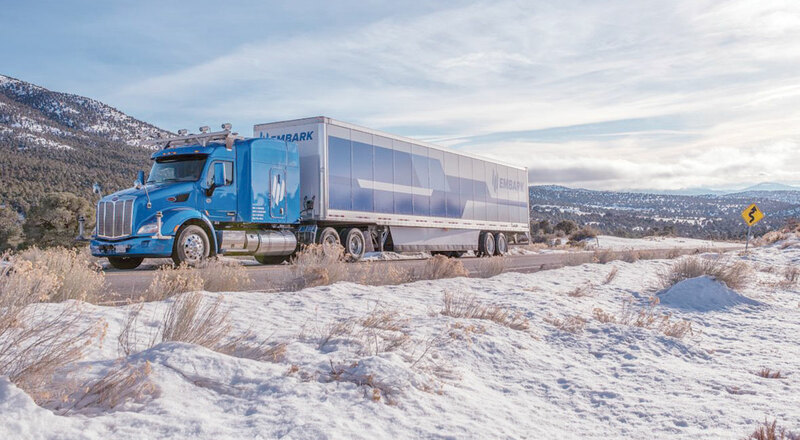 Even the startups that are pushing most aggressively to deploy fully autonomous trucks are quick to acknowledge that the transportation industry will continue to need skilled human drivers for a very long time. Today, that need for drivers is the greatest constraint facing modern trucking fleets. Not enough younger people are entering the profession, and many current drivers will be retiring in the not-so-distant future. Despite this shortage of drivers, the baseline development path for automated trucks will continue to require a driver on board the vehicle for the foreseeable future. Those drivers may be able to activate an autopilot mode for on-highway driving, but still will be on hand to resume control for trickier driving tasks while traveling on urban or suburban streets. Several technology firms are focusing their efforts on skipping straight to unmanned trucks, but if they are successful, these initial deployments will be quite small at first, and limited to specific areas of operation — likely remote freight corridors. It will take a long time for this approach to scale up to the point that it begins to put a real dent in the driver shortage, much less eliminate job opportunities in trucking. Even if driverless on-highway trucks do proliferate more quickly than anticipated, truck driving in cities and on roads that have intersections, cross traffic and pedestrians will continue to be the domain of the human operator for decades to come. There are several emerging business concepts for deploying unmanned trucks within the current limitations of the technology. Perhaps conventional trucks piloted by drivers will exchange trailers with autonomous trucks that operate only on freeways. Perhaps autonomous trucks will follow the lead of manned vehicles in truck platoons. Perhaps drivers will even shift from the cab to the office, where they will monitor and support autonomous vehicles from afar. You’ll notice that in each of these scenarios, the driver continues to play an indispensable role in the movement of freight. As this automation advances over the course of multiple decades, perhaps the day will arrive when nearly all driving in all conditions and on all roads will be handled solely by computers. But that day simply is not visible on the horizon. In the meantime, this industry will enter a time of fascinating change with the expansion of automation and safety technologies. As this happens, the role of the driver likely will evolve. But that role will remain. Have no fear. You have not started down a dead-end career path. If you prove yourself to be a good, safe driver, your services will be in high demand for decades to come. And the profession you decided to enter could turn out to be far more interesting than you ever imagined.